We can design your China tour to your favorite type of travel experience, from budget to luxury, from sight-seeing to high adventure, and anything in between. With Trip China Guide, you travel at your own pace. All our tours include a private guide and vehicle, exclusively for you. Enjoy the world's mysterious and beautiful destination – "China" with itineraries tailored the way you want. As we are based in China and cooperate with more than 350 travel agents and organizations, trained and well mannered staff, experienced language specific guides, luxury vehicles and 24/7 emergency support. Enjoy your own guide and vehicle, set your own pace. No pre-set start dates. Start when you want. Change what you want. Choose what you want. Over 500 satisfied clients in 2010, over 2,400 in 2011, over 3,100 in 2012. 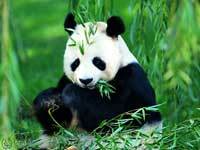 All our travel consultants and Travel Guides have worked and studied in many places in China. They visited numerous tourist attractions, investigated many hotels and restaurants. Tell us where you want to go, what you want to do, and we will do the rest! !